We handcraft every single detail in order to deliver your world-class log home. We wish to thank everyone for the outstanding post and beam house you delivered to us. Also for the professionalism your entire company presented and for the personal, never wavering attention, advice and patience you gave. From sales and design, to delivery your attention to detail in everything you do was continuously and utterly perfect! It was and always is a pleasure working with all of you! Your product – the post and beam – was far beyond anything we ever imagined it to be like! The beauty of it simply blew us away. 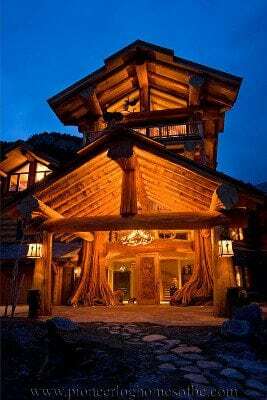 If anyone ever craves to hear my advice on a post and beam house I would tell them three things: choose cedar, allow extra space during design for the forest you will put into your house and go with Pioneer Log Homes of British Columbia.